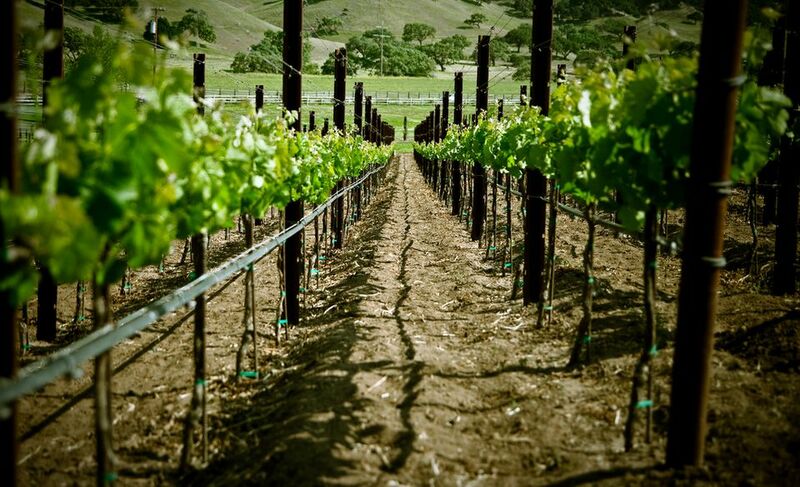 Both wine and table grapes have been enjoyed for countless generations, dating back to the most ancient of history. Thanks to heirloom gardening, a piece of that history can make it home to your garden, table, and wine cellar. While we might be used to walking into the grocer’s and choosing red or green grapes, in reality, there are many more varieties. Each one has its own specialized use – some are better as juice or wine, others are for jelly, and still others are for eating fresh. Take the time to choose varieties that suit your preference for grapes once they are harvested, as well as for optimal growing conditions after you plant them. The better you prepare your space, choose a variety carefully, and maintain the plants, the easier it is to keep the garden grown organically, free of sprays and other chemicals. American grapes come from Vinis labrusca, which are usually hardier, resistant to powdery mildew and other forms of disease and pests. American grapes will also fruit a bit earlier in the season. Still, they are a softer fruit with thicker skins that slip away from the pulp easily, unlike the crispy, thick-skinned grapes we get at the market. Grape juice familiarized us with Concord grapes – an American heirloom variety with darkly colored grapes. Concord typically have large seeds that are easy to remove. You can obtain seedless grape varieties, but technically they cannot be both seedless and heirloom. In 1870, Concord was modified into the Diamond variety that is ideal for a white grape juice to counter the typical purple Concord juice. Niagara is another white Concord variety that came not much later than Diamond. In the mid-1920s, Golden Muscat was introduced – a light grape that grows will in arbor structures. Muscats are wine grapes, originators of Moscato. Much more like the grapes we are used to buying, European grapes are popular table grapes. Vinis vinifera needs a long, warm climate in order to fruit. If you can accommodate them, they are a treat to grow. Muscat of Alexandria was introduced in the early 1900s as table and raisin grapes, sometimes used for wine as well. Although they need the long growing season of European grapes, they will not do well in a desert environment. Black Corinth, or Champagne, grapes come from Greece and are often made into currants. Grapevines are relatively permanent structures, excellent for climbing along fences or creating a beautiful arbor space. But we can’t forget that they are also edibles! A grapevine can produce quite a few grapes, which are useless for anything but feeding the deer if your family won’t eat them. Decide what kind of grapes you want – table grapes, raisins, juice, or wine – and then select your variety carefully. Will the kids eat thick-skinned, seeded grapes? Will your wine turn out well with a table grape? Is your climate suited to a European variety? Disease is another factor to consider. Older varieties are sometimes more susceptible to disease. Make sure you are familiar with its history and have an environment suitable for healthy growing. All in all, heirloom is a tradition and a novelty that make organic gardening fun and interesting. But with something more permanent, like apples or grapes, make sure it’s a variety that you will be able to grow successfully and enjoy at harvest time. Otherwise, stick to heirloom vegetables and simply enjoy ​growing organic grapes with newer varieties.